The Homall Ergonomic Gaming Chair (model # T-OCRC0021) is available on Amazon for $79.99 & FREE shipping in the US. Lowest ever! 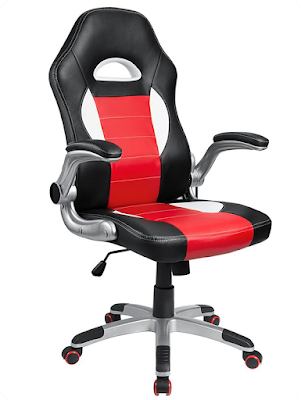 Very nice looking work/study/gaming chair with adjustable & padded arm-rests, neck support and height adjustment. Available in Red-Black or Blue-Black color combos.